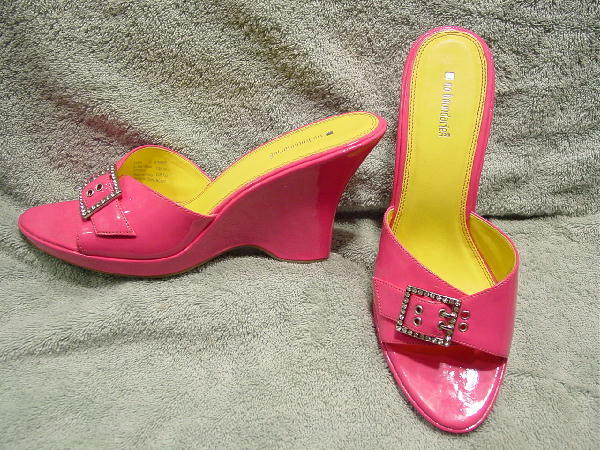 These bright dark pink vinyl mules have rectangular rhinestone edged buckles and three sets of holes on the vamps. They have bright yellow insoles and modified wedge heels. There are rubber nonskid soles. They are made of all manmade materials. They have that '60s mod look. She wore them once, for a Hollywood "pajama party".